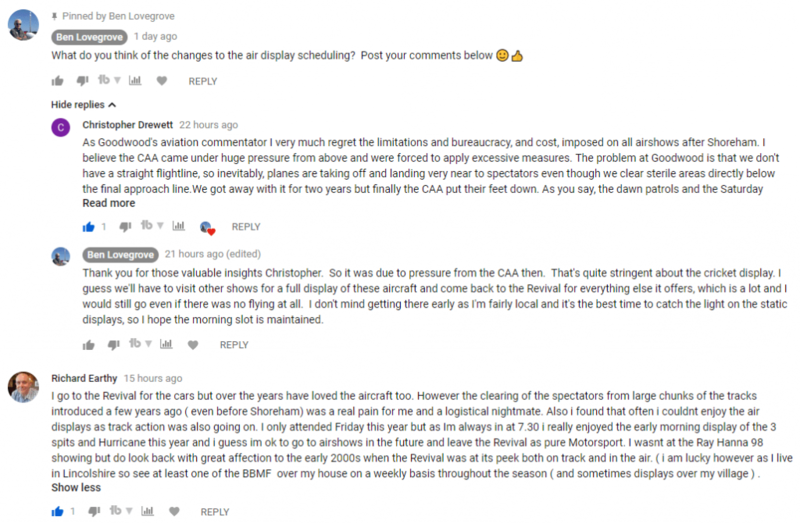 This is a follow up post to the one I published on 5th September, prior to the 2018 Goodwood Revival. Last week’s post was entitled Goodwood Revival 2018 – No Air Displays. The video version of that post has received over 1,500 views and plenty of comments since it was published a few days ago. If you would like to watch that video here’s a direct link. You can post comments beneath it or add comments below the post on this site. The gist of last week’s post was the fact that there were no daytime air displays in the timetable for the 2018 Goodwood Revival. The only scheduled air displays were in the early morning each day and early evening on Saturday 8th September. 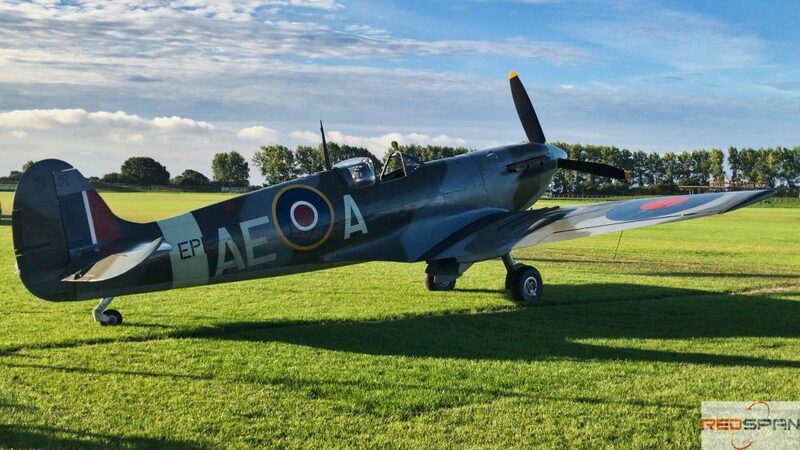 The information prior to the event was that the weekend morning flights would be of a Spitfire and Mustang pair only. However, it was better than anticipated. On both Saturday and Sunday morning three Spitfires and one Hurricane took off and got into formation to the north. After a couple of formation flypasts they gave an impressive, elegant, and inspiring display that included barrel rolls and wing overs. So it was a real treat, a visual feast of everything we love about these vintage aircraft. You could not help but be stirred by the sight of these aircraft performing aerobatics over the former RAF Westhampnett airfield. It’s also worth mentioning that the organisers had arranged for the aircraft to be parked closer to onlookers. So people could watch as the pilots carried out their pre flight checks and started their engines. However, you had to get to the Revival early in the day to see them. These displays were over by about 8.45am. It seems the displays had to be completed before any spectators had arrived in the grandstands along the perimeter and away from the main areas. Does this mean that a new format for air displays at the Revival has been set in place? Will all future Revivals be devoid of any of the daytime air displays and flypasts we’ve grown used to over the previous 19 years? In my previous video I mentioned risk and how spectators at motor racing events and air shows accept an element of risk. For example, at the Goodwood circuit, if you’ve ever used the pedestrian tunnel under the startline you may have noticed a grid over the top on the east side. This was added after a car left the track at the 74th Goodwood Members’ Meeting in 2016, when a car flipped over and landed on top of the tunnel. A wheel came off and headed for a group of spectators who managed to avoid injury. The driver escaped with a broken collar bone. These incidents are very rare and whenever they do occur measures are taken to guard against further incidents and their repercussions. When it comes to air shows, whenever people talk about how tame they are today they often mention the ‘Shoreham Effect’. Has that awful day forever changed the type of displays we can look forward to each summer? Perhaps three years after the event is too soon to be certain. None of this detracts from the fact that the Goodwood Revival remains a hugely enjoyable event. There is so much to watch on the track and around the site. And the 2018 Revival was a glorious celebration of twenty years of the event. A fitting tribute to all those who had the vision and determination to restore the track in the first place; Lord March and the Goodwood Estate, as well as the organisers, drivers, riders, mechanics, marshals, actors, ancillary staff, and spectators over two decades. The absence of daytime air displays won’t stop me from going. I’ll just make sure I’m there early enough to watch the Dawn Patrol. But I hope in years to come we’ll see a return of World War II aircraft and the jets of the Cold War returning to the event for daytime air displays that will thrill and inspire a new generation of Revival fans. Thanks for reading. If you have an opinion on this topic please post in the comments below. See you at the next Goodwood Revival!